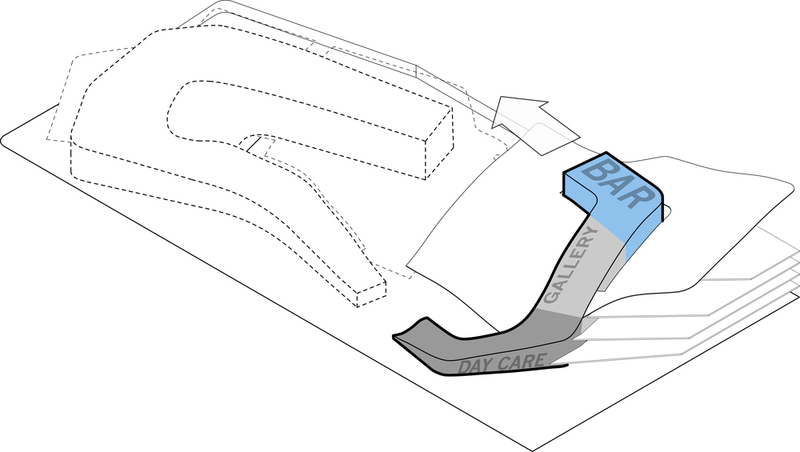 Primed with an interest in ecological integration and surface occupation the Bywater stay - swim - spa became an exercise in architectural collage. 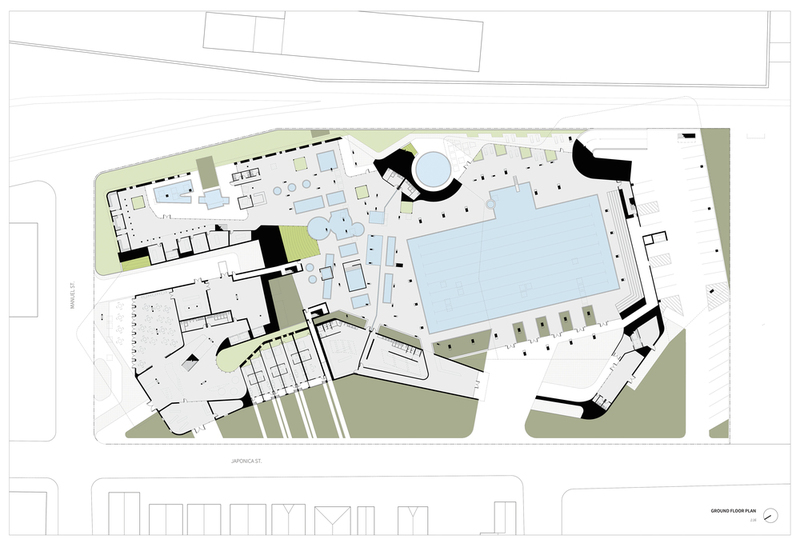 The entire site is covered in three separate concrete ‘plates’, slim planted forms enclosing the aquatics center and providing a new public amenity. 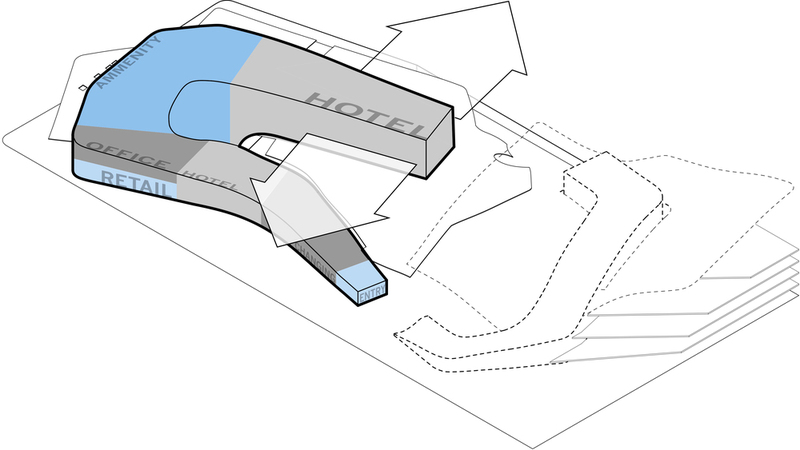 Intersecting these was a ‘snake’ form split into two programmatically distinct forms; the hotel and retail.